What is IT 25 · 50? The 25th anniversary of Internet commercialization & “The Demo” 50th anniversary symposium “IT 25 · 50 ~ for you who really want to change the world ~” is scheduled for December 10, 2018 (Japan time). We have begun recruiting candidates who want to hold local symposium, companies’ training usage, and circle viewing and so on. For application and inquiries, please contact http://it2550.com/ask/. If you agree with the purpose of this “IT 25 · 50” symposium, please introduce to more than six friends of yours (from the “Six Degrees of Separation”). 2018 is the year of the 25th anniversary since the web browser NCSA Mosaic was announced in 1993 and the Internet commercialization began. And, also 2018 is the year of the 50th anniversary since Douglas Engelbart did the “Mother of All Demos” on December 9, 1968 (US time), which was the starting point for the history of the personal computer and the Internet, in which he demonstrated such as mouse, window, hypertext and so on. So on December 10, 2018 (Japan time) on this day 50 years after the day when The Demo was held, we would like to hold “IT 25 • 50 Symposium~ To you who really want to change the world ~”, the Internet Commercialization 25th & The DEMO 50th Anniversary Symposium, which is supported by “Father of the personal computer” Alan Kay. We would like to invite to this symposium such participants as people described in Alan Kay’s paper titled “A Personal Computer for Children of All Ages”, who have young and supple sensibility and who really want to change the world. It doesn’t matter your actual age. The purpose of this symposium is three. ① Let’s listen to the story of the legend who really changed the world. ② Let’s think about how we can really change the world. ③ Let’s really change the world. We would like to establish “IT Day (IT anniversary day)” at this opportunity, celebrate the development of the entire IT every year, reflect the past history, think about the “future society” from now on. In 1968, Alan Kay, who joined Douglas Engelbart’s The Demo, invented the Dynabook concept at the same time and developed a provisional Dynabook that challenged the limits of the technology at the time. Steve Jobs inspired by it and developed the world’s first commercial personal computer Macintosh, Bill Gates developed Windows. And they changed the world drastically. Alan Kay wrote the details of the Dynabook concept on the paper “A Personal Computer for Children of All Ages” published in 1972, but surprisingly, he is thinking that “The Dynabook concept is not realized yet, it is going to be realized from now on”. Alan Kay will give the concrete explanation and valuable messages to everyone who really wants to change the world. · The “IT 25 · 50” symposium is basically composed of two parts. In the first part we will deliver live streaming of “Alan Kay’s Keynote” and “Panel Discussion”, in the second part each venue will set up their own unique theme and will carry out original symposium. · If you wish to just listen to at universities, companies, local governments, organizations, circles, etc., you can only receive live streaming free. · Let’s tweet “Mouse” all together via Twitter, Facebook, Instagram, LINE etc. And let’s celebrate “The Demo” 50th anniversary and the “IT Day” kick off. ・It is well known that you can greatly revitalize the market by setting “Anniversary” and excite the festival, like the bargain day of the supermarket, Mother’s Day, Valentine’s Day, Halloween, and Alibaba’s ‘Single Day’. However, the IT industry has not had such anniversary so far, so there is no moment to raise the industry. ・ On this occasion, if we establish a worldwide anniversary, hold annual “IT Prize” award ceremonies all over the world, holding various symposiums, holding seminars for each target group , Building charity, campaign and promotion, it will make it possible to more efficiently and vigorously activate the industry as a whole and promote social reforms as compared to the case without it. 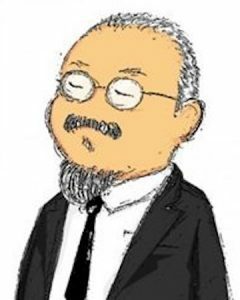 ・However, in order for this “anniversary” to be established and lead to revitalization of the industry, it must be an “anniversary” with a legitimate future vision that everyone is convinced and sympathizes. On that point, December 9th when The Mother of All Demos was carried out, it is best for “IT Day”. ・The IT revolution beginning with The Mother of All Demos has been made by people with a legitimate future vision that everyone is convinced and sympathize, such as Douglas Engelbart, Alan Kay, Steve Jobs.Therefore, the “IT Day World Committee” must be established with close cooperation with people with such legitimate future vision, and those who succeed the legitimate future vision. ・First of all, we will establish a mission, a charter, make organization plan, activity plan, funding plan and start activities for implementation of “IT Day” after 2019. We are looking for universities and IT-related organizations that can co-host symposiums in each region (only reception of live broadcasts is permitted in university classes etc. ), ①Offering at the joint symposium venue (not limited to universities) ②Operation of the co-sponsored symposium, ③Part 1 “Alan Key keynote” “Panel Discussion” Reception of live broadcasting (Free), ④Part II Implementation of original symposium, ⑤Announcement, attracting customers, ⑥Management of social gatherings (Holding a social gathering is optional), ⑦Participation in the Facebook Group “IT 25 · 50 Executive Committee”. We are looking for universities, companies, local governments, and organizations that can utilize the live broadcast of the symposium as a training for students, employees, staff and members. Live broadcasting is free. We are looking for educational institutions, companies and municipalities of universities etc. 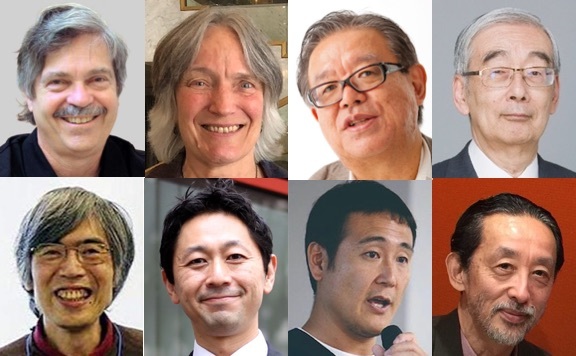 to support the symposium’s purpose of activities and contribute sponsorship money (200,000 yen). If you are able to sponsor it, we will display credit and participate as a member of the preparation meeting of “IT Day World Committee” establishment. We are looking for newspaper, TV, Internet media that agree with the purpose of the symposium and can cooperate with promotion, coverage and events. We would like to ask each media you can cooperate with: (1) announcement of “IT 25 · 50” symposium · cooperation of coverage, (2) announcement of “IT 25 · 50″ version “Balse” event, cooperation of coverage etc. We are looking for academic societies, newspaper, TV, Internet media that can sponsor the symposium. President and CEO of Creation Inc. Born in 1955. Graduated from Waseda University School of Political Economics. In 1986, launched Japanese first Macintosh magazine “MACWORLD J” as editor-in-chief. In 1987, launched “MACLIFE” as editor-in-chief. After independence in 1996, started activities such as consulting, producing, seminar lecturing, writing, which related with the Internet and multimedia. In 2003, produced “The internet safety classroom”, information security enlightenment activity of METI. From 2017 to 2018, held the “Holos 2050 Future Meeting”. The main books are “The History of Jobs & Apple”, “Jobs Legend”, “Smart TV and Movie Business”. “Holos 2050” founder. Born in 1951. 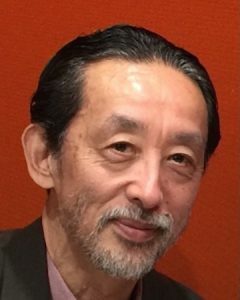 After obtaining master’s degree from Graduate School of Science and Engineering at Waseda University, joined the Asahi Newspaper in 1978. Visiting as a researcher at US MIT Media Lab for two years from 1987. 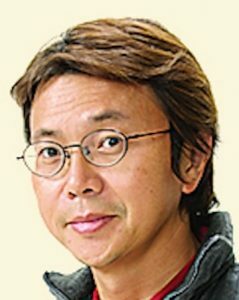 “ASAHI personal computer” deputy editor, “DOORS” editorial board, “PASO” editor-in-chief.In 1994 wrote the first Internet series on Japanese newspaper. In books such as “the world of artificial reality”, “the world of artificial life”, “McLuhan is the message”. In translation, “Cyberpunk”, “Artificial life”, “Digital McLuhan”, “What the Dormouse Said”, “The Victorian Internet”, “The Turk”, “Turing”, “TECHNIUM”, “THE INEVITABLE” etc. “Holos 2050” founder. Professor at Digital Hollywood University. Director of Media Library. Born in 1970. 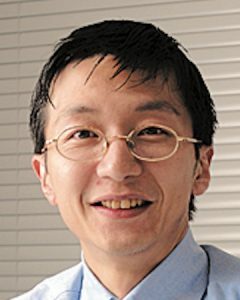 Founder of Big Data and Artificial Intelligence Technology Venture Company Data Section Co., Ltd. After listing the company, became an adviser and turned to educator and businessman. Pursue innovation in the field of education and IT. In books, “Intellectual worker who moves the company through data scientist data analysis”, “Information force”. writing a book review blog for 10 years. As a book review, there is “Information thinking 213 compasses of the Web era”. Visiting professor at Tama University graduate school. 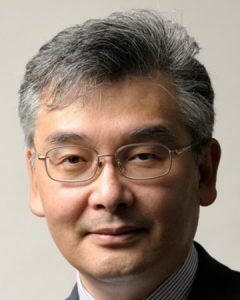 Director of Waseda Information Technology Research Institute. “Holos 2050” founder. Editor, Professor at Digital Hollywood University.CEO of UEI Education Corporation. Born in 1957. Joined ASCII in 1989. Since 1992 editor of computer information magazine “EYECOM”. From 1997 “Weekly ASCII” editor-in-chief. 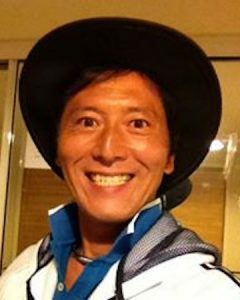 TBS Radio “Digi Bug” Personality, “Morimoto Takeo’s Standby” Commentator for 3 years. Director of ASCII Media Works 7th Editorial Department, General Editor-in-chief of “Weekly ASCII”, Editor-in-Chief of “Tokyo Kawaii Magazine”, Director of MIKUNOPOLIS. “Holos 2050” collaborator. President and CEO of Kanda News Network, Inc. Video journalist / social media consultant. Born in Kobe City in 1961. After engaging in marketing, planning, researching and selling wine, involved in editing computer magazines and disseminating DTP. Started operation of personal broadcasting station “KandaNewsNetwork” by video streaming since 1995. The main books are “100 techniques of Ustream”, “Twitter Revolution”, “YouTube Revolution”, “Web 3.0 society”, “Business changes with Web 2.0”, etc. “Holos 2050” collaborator. Born in Kumamoto in 1962. After graduating from Hitotsubashi University, joined Dentsu Inc. Affected by multimedia fever at that time, involved in planning such as “MACWORLD”. And in the Internet World Expo which was held globally in 1996, was a secretariat of Japan. Also involved in the creation of Internet advertisements. While also experiencing launching of mobile career for 3 years. After returning home, in charge of IT related new business. Retired at the end of 2016, founded kassy business corporation, Representative Director. Active on free Wi-Fi and e-sports. “Holos 2050” collaborators. Copyright © 2019 IT25 • 50.com All rights reserved.